The North American Free Trade Agreement (NAFTA) was implemented on January 1st, 1994 and is an agreement to remove both tariffs and investment barriers between the United States, Canada, and Mexico. 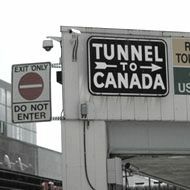 NAFTA incorporates the previous 1989 agreement between the United States and Canada to remove tariffs on agricultural trade. Mexico and Canada had a separate agreement on agricultural products that eliminated most of the tariffs over a fifteen year period. The full provisions of the NAFTA agreement, including the elimination of all tariffs, were implemented fourteen years after the first signing of NAFTA on January 1st, 2008. For agricultural products, Canada and Mexico are the two of the largest export markets for the US. US Exports to Mexico - For exporting agricultural products to Mexico, NAFTA has been of great benefit to the US. Before the signing of the NAFTA agreement, US exports of agricultural products to Mexico had fallen and were being challenged for market share by Latin American countries and European nations. But after NAFTA the value of U.S. agricultural exports worldwide climbed 65% by 2007. From 2001 to 2006, US agricultural exports to Mexico climbed by $3.6 billion to $10.8 billion. By 2011 the value of agricultural exports reached $18.4 billion, making Mexico the third largest agricultural export market. A wide range of agricultural products has fared well under NAFTA including; beef, including offal, corn, soybeans, cotton, fresh vegetables, fresh fruits, dried vegetables, feed ingredients, wheat, sorghum, grocery products, and pork. US Exports to Canada - As the US and Canada had a pre-existing agreement, the U.S.- Canada Free Trade Agreement (CFTA), the export of agricultural products to Canada had not suffered as it had in Mexico. However, the NAFTA agreement did see significant increases in revenue. Exports to agricultural products Canada rose from $4.2 billion in 1990 to $19.0 billion in 2011, making Canada the number one export market for the US. Canada accounts for 14% of total U.S. agricultural exports. In 2010, the top export product categories were fresh vegetables, fresh fruit, snack foods, processed fruits and vegetables, and red meats. There is a very diverse product base exported to Canada with no single export category to Canada makes up more than 10% of the total. Despite NAFTA, the US does have competition for the Canadian market. Mexico exports agricultural goods to Canada, as well as Brazil, and China. The costs of importing agricultural exports from China suffers from high transportation costs, but currently, the labor costs are still low enough to make importation feasible. China exports to Canada include fruits, apple juice, vegetables, pasta, and peanuts. Mexican Exports to the US - Mexican agricultural exports to the US are mainly for items that are not produced in the US, such as coffee and chocolate, as well as items that are imported to the US on a seasonal basis when they are not available in the US. Sixty-four percent of Mexican fruits and vegetable exports to the US are received during the winter months. By 2011 the imports of agricultural products from Mexico to the US totaled $15.8 billion, making Mexico the second largest supplier to the US. The leading categories include fresh vegetables, fresh fruit (excluding bananas), wine and beer, and snack foods, including chocolate. Canadian Exports to the US - Since the NAFTA agreement was approved Canadian agricultural exports to the United States and Mexico have increased by 95%, with exports to the United States has grown by 92%. The US is Canada's largest export market, purchasing about 61% of Canadian agricultural exports. Some areas have done well under NAFTA including horticultural crops, oilseed products, specialty crops such as dried beans, red meats, and processed products. Canadian Exports to Mexico - Prior to NAFTA, Canadian exports to Mexico was small in comparison to its exports to the US. Most of the exports to Mexico consisted mostly of grain and oilseeds. Mexican vegetable oil demand is primarily satisfied by domestically produced oil crushed from imported oilseeds. Canada has taken advantage of the growing demand for oilseeds, more than tripling the volume of canola exports between 1993 and 2002. Mexico has now become Canada’s second largest market for canola. Since NAFTA Canadian meat exports to Mexico have grown by an annual rate of 40%, with beef exports growing from $4 million in 1997 to over $200 million today. Mexican Exports to Canada - Due to the lower labor costs, Mexico imports labor-intensive agricultural goods to Canada, such as horticultural products. Canada imports a wide variety of fruits and vegetables from Mexico, but its top import is beer, followed by tomatoes, guavas and mangos, peppers, and avocados. Canada’s importation of fruits and vegetables from Mexico has been growing at around 9% per year since NAFTA. Prior to the agreement, Canada had seasonal tariffs for fresh vegetables and tender fruits of between 10% and 15%. Canada’s importation of Mexican beer has grown at around 11% since the implementation of NAFTA and will continue to grow as some of Canada’s larger brewing companies purchase minority holdings in Mexico’s largest breweries. Should My Small Business Use Trade Shows to Find New Suppliers?